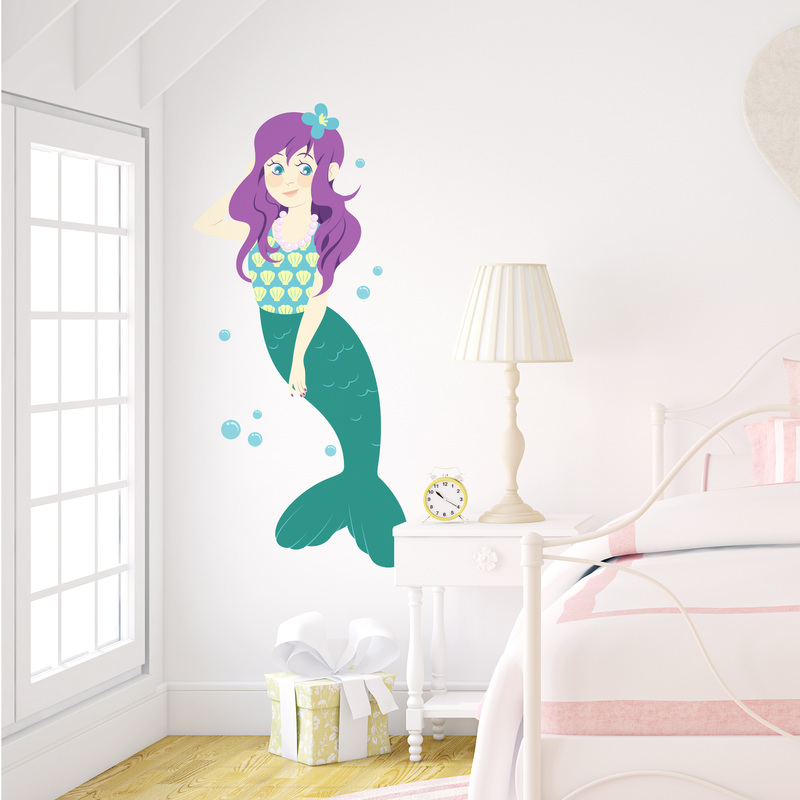 Feel like you're "unda da sea" with this Purple Haired Mermaid Printed Wall Decal! Little girls will adore this in their bedroom. 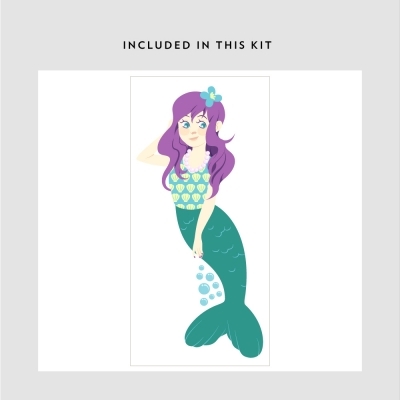 Shop our kid's mermaid wall decor today.